Most children's bedrooms only offer one small closet. In many homes, the children share a bedroom — either due to preference or need — and the closet needs to accommodate more than one child. Why not maximize the space with a custom kids closet design from Closet Works, providing a long term solution to a storage problem that is only certain to grow along with the children. 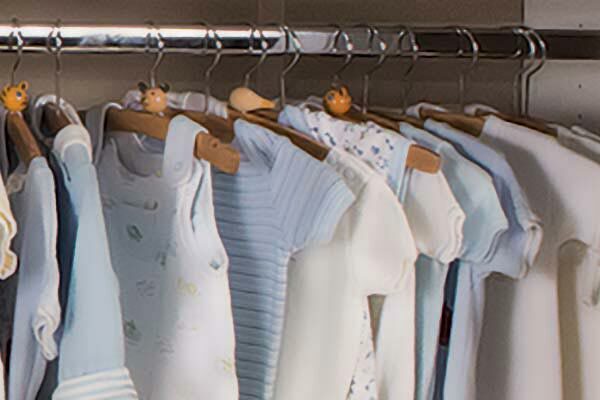 Closets that belong to Infants and toddlers which have not been custom designed waste a lot of space due to the tiny clothing. This custom closet design maximizes the full height of the closet, providing enough storage space to accomodate the space needs of multiple babies. A triple hang section of clothing rods makes use of the full height of the closet and maximizes the storage capacity. 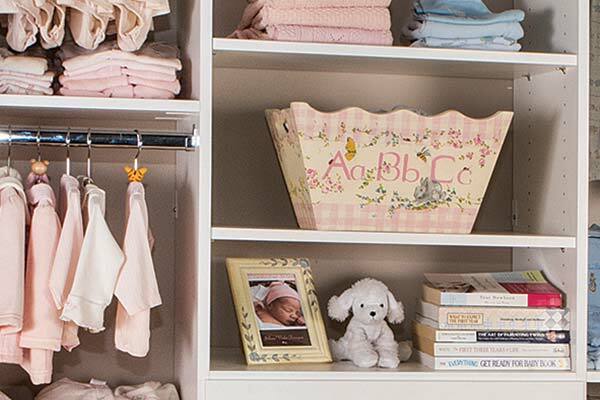 Seven shelves are included — great for all the receiving blankets, special pillows, books and crib bedding that accompany infancy. These clothing rods and shelves can be easily rearranged when needed. 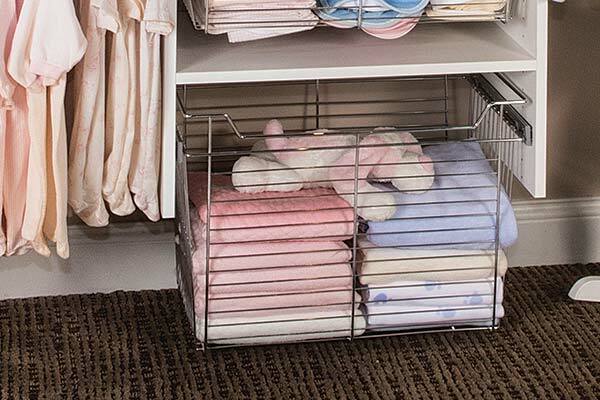 Fully bored panels allow shelves, baskets and rods to be repositioned to different heights as the children grow, ensuring long term use and excellent value with your custom closet system.